Good morning....here's another sample with the new Tonic Studios release dies. I've shown how you can simply cut out the wording twice to create a focal point as a shadow effect. I love using pretty patterned paper on cards but I've kept this plain to keep the message clearly visible. 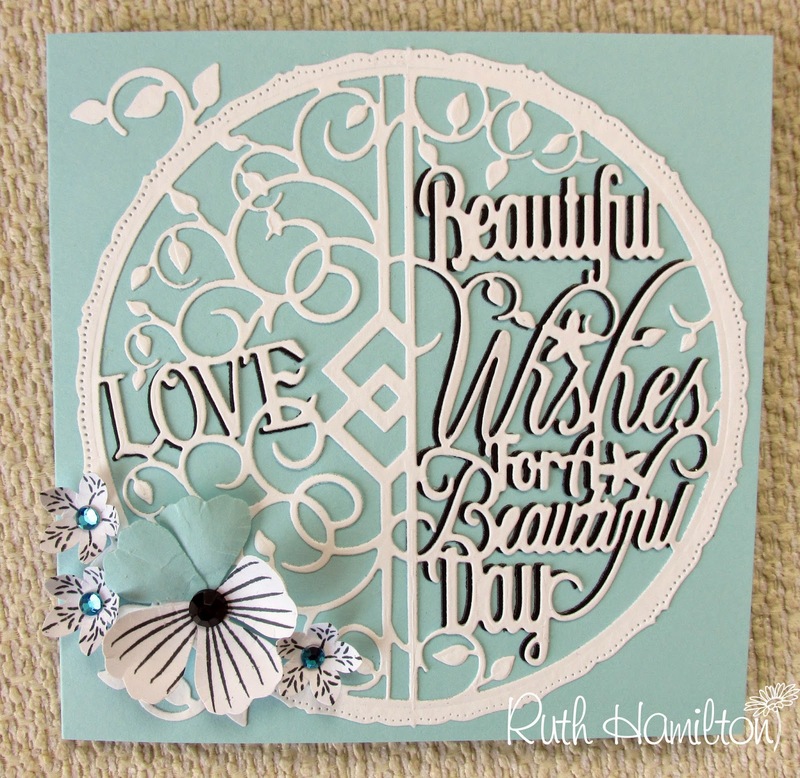 Made with Papermilldirect pale turquoise, white hammered and black smooth card.